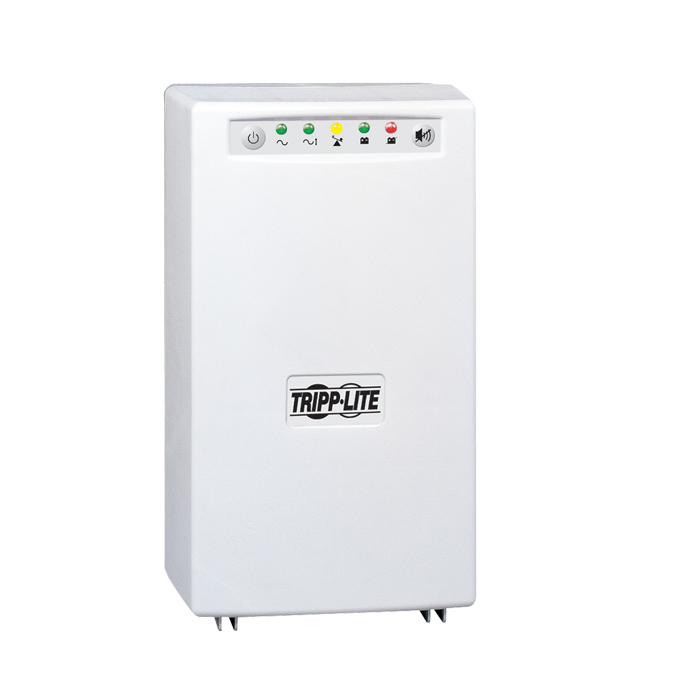 Tripp Lite’s SMART700HG medical-grade UPS system provides dependable battery backup and is fully compliant with UL 60601-1 regulations when plugged into a hospital-grade outlet, making it ideal for use in patient-care vicinities. The 700VA/450W capacity provides up to 42 minutes of runtime for a half load, or 18 minutes for a full load so you can work through short power failures and perform an orderly system shutdown in a prolonged blackout. Built-in line-interactive voltage regulation corrects brownouts as low as 81V and overvoltages as high as 143V to normal 120V nominal output, without drawing battery power. 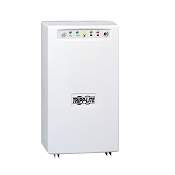 The SMART700HG’s built-in isolation transformer with Faraday shield offers full isolation and removes common mode noise while maintaining full AC surge suppression in all modes. 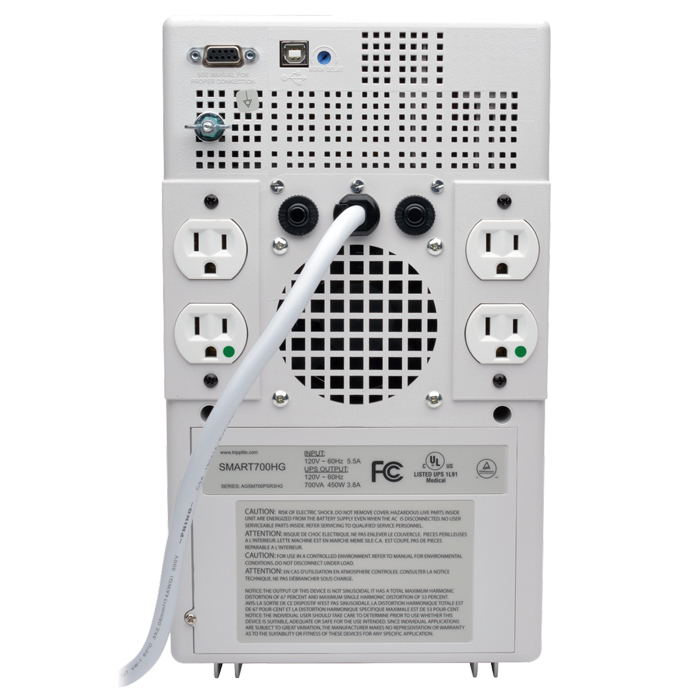 This UPS system features four NEMA 5-15R-HG hospital-grade outlets and has a hospital-grade NEMA 5-15P-HG plug with a 6 ft. cord for flexibility in placement. All four outlets provide both backup protection and surge protection, rated to 480 joules. The SMART700HG also features diagnostic LEDs, as well as a USB port and a DB9 serial port that work with Tripp Lite’s free downloadable PowerAlert software for safe, unattended system shutdown and file saves in the event of a prolonged power failure. This UPS contains a lead acid battery designed to be connected continuously to an AC power source, except during brief power outages. It is not intended for frequent charge/discharge cycles, such as mobile cart applications where the UPS is often disconnected from the power source. Using the SMART700HG in this type of application will void the battery warranty. For mobile applications, Tripp Lite recommends the SMART700HGL with lithium iron phosphate (LiFePo4) battery.